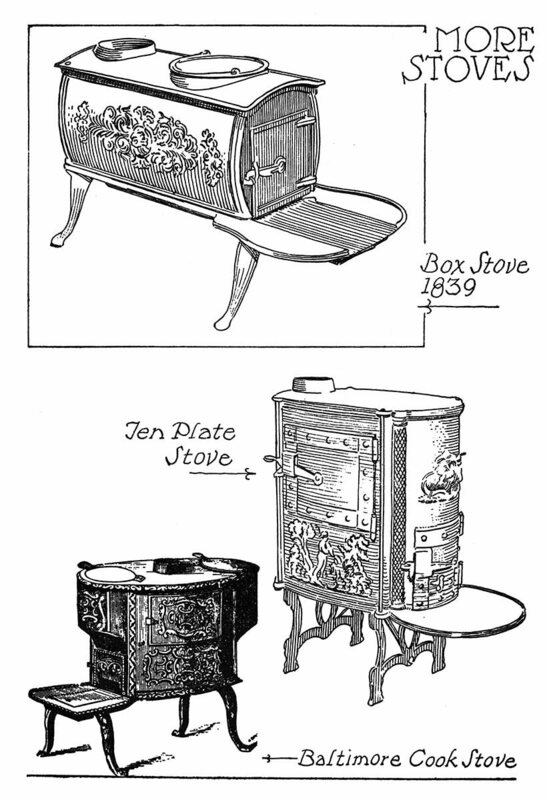 Cooking stoves and heating stoves were coming into general use around 1840. 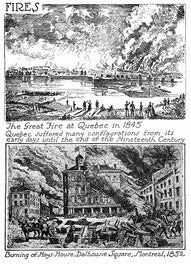 There were no cooking stoves in Dundas, Ontario, before 1834. A few had heating stoves in the hall around 1816. 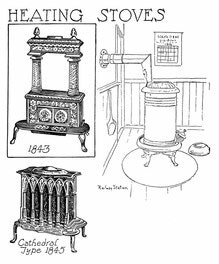 One of the first and most popular stoves was the Franklin, made in the U.S.A., quite handsome in brass gallery and fender. Descendents of the Franklin are still used. Government House, Toronto, around 1840, was heated with hot air from an oven in the cellar, three feet six inches high and three feet wide, roof and inside of fire brick and stone, coated with thick cement composed of mortar and cow dung.